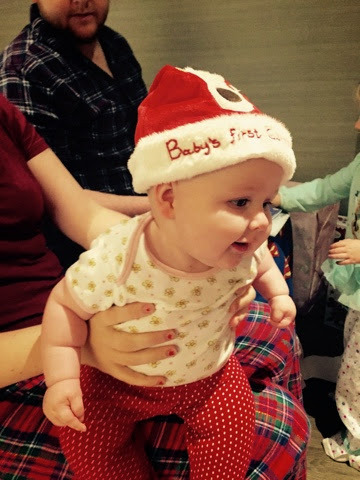 Baby Pebbles: Penelopes First Christmas! 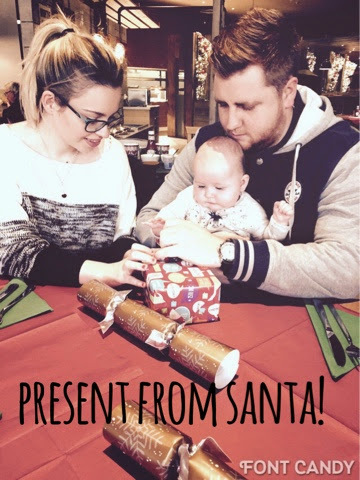 25/12/2014- Pennys first christmas experience! Okay, it didn't quite work out as magical as I'd hoped as Penny developed a horrid cold on Christmas Eve EVE. What luck right?! Poor gal, she suffered so much, it was awful to see as a parent, especially at christmas. 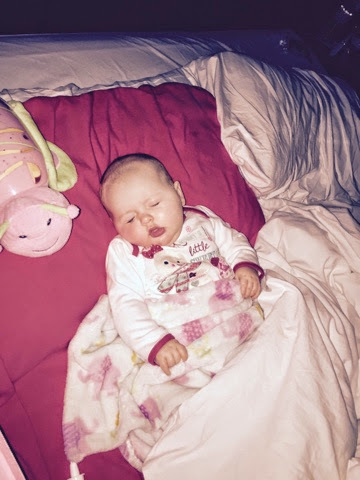 Regardless of how poorly she was and the fact she slept pretty much 90% of Christmas Day. I tried to make her day as lovely for her as possible for the short moments she was awake. Here's some of the snaps I took throughout the day! Before we woke her up to see if Santa had been. It felt like a crime waking a poorly baby! Note: we did wake up at 8am lol! Not 5am or some crazy early time. First ever present opened on Christmas morning! I love this photo! Such a family moment. Rocking the Christmas hat! Even caught a smile! Waiting for our Christmas dinner! 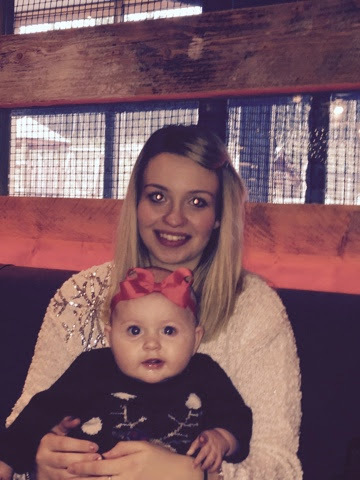 Mummy daughter piccy! I like this one as she was looking slightly chirpier here! 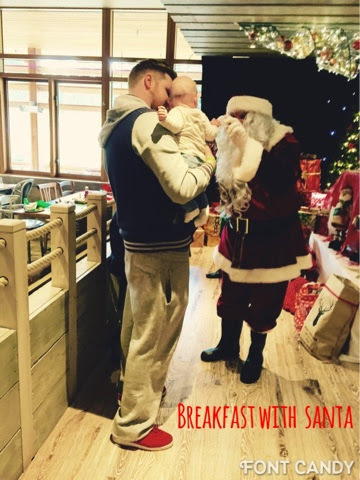 Earlier on in the day we went to have breakfast with Santa, didn't you know he did breakfast, bet not!? Haha. No tears again for Santa, if anything she looked at him like he was so weird. Opening her special present from Santa! Egg cups! We lost half before we even left! So that didn't last long at all. Sorry Santa! All in all it was a jolly good day for all. Penny loved what she managed to experience. And I look forward to many more years of making it as special for her as I can. By next year she'll be tearing the paper herself! Leaving milk and cookies for Santa! Eeek I'm excited for next year already! aww lovely photos. 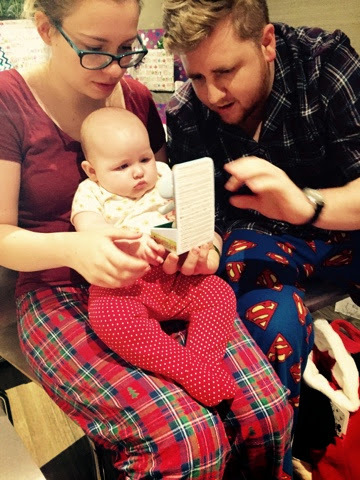 Glad she had a good 1st Christmas despite being poorly.